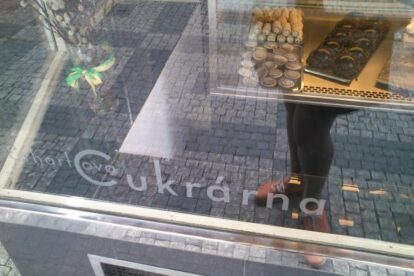 Erhartova Cukrarna is pleasant not only because of the perfect desserts, but also because of the location. The sweet shop has been located in this very spot since 1937, when the building was also built. The pure functionalist interior was very gently renovated just a few years ago and, it is truly a miracle the interior was not destroyed during the last era. The new unobtrusive design is balanced by the rich variety of the desserts. From soft little cookies to large heavy cakes for cream lovers, I believe each of you can choose the right one. Of course, you can sit inside and accompany the cake with a coffee. Here is another important message for lovers of quality – all desserts are prepared right in the sweet shop and the bakers are using high-quality, natural products like real cream. And that is rare to see these days. Continue to Stromovka (check the Stromovka article) to walk after all the sweets you could not resist to eat or to Bio Oko (check the Bio Oko article) to see a nice movie!